The wrist has always been a popular place to get tattooed. There are so many designs that can be created. 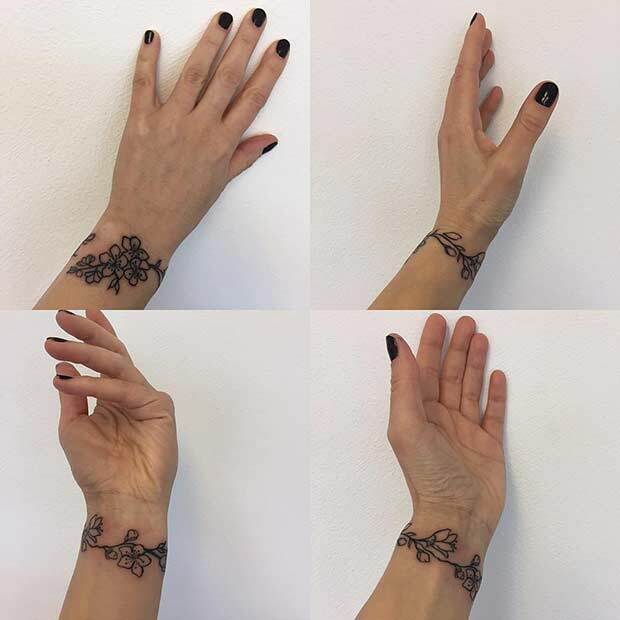 No matter what style you like from subtle and sweet to edgy and trendsetting there is a wrist tattoo for everyone. It’s not only the endless creative possibilities that makes these a favourite. These tattoos are as noticeable as you want to make them. A small piece will subtly catch the eye and a bolder design will make a statement. It is a brilliant first tattoo with the bonus of a low pain level. 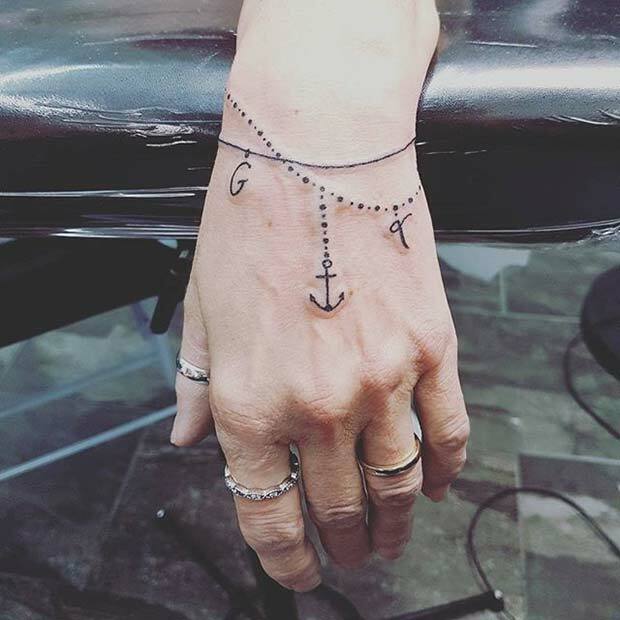 So, if you’re looking for inspiration check out our 21 best picks of stylish wrist tattoos. Inspirational words or meaningful phrases are a beautiful way to express how you feel. You could choose anything from a favourite song to an encouraging message. 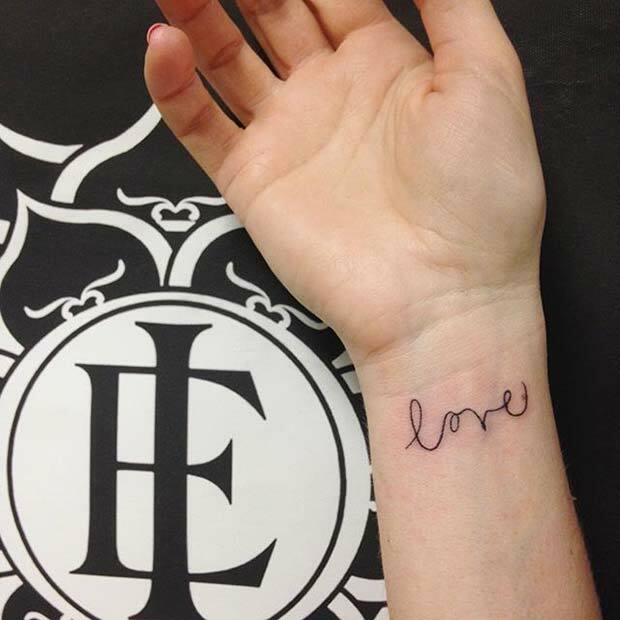 A tattoo like this one features the word love in an elegant font. It is small and subtle but makes a powerful statement. There are so many different tattoos you could create with any word. If you’re looking for a cute tattoo, then this is something for you. This tat features a small heart outline on the wrist. It is simple but trendy. You could have a minimal design like this one or mix it up and add some color – maybe a different shade on the outline or color in the heart. 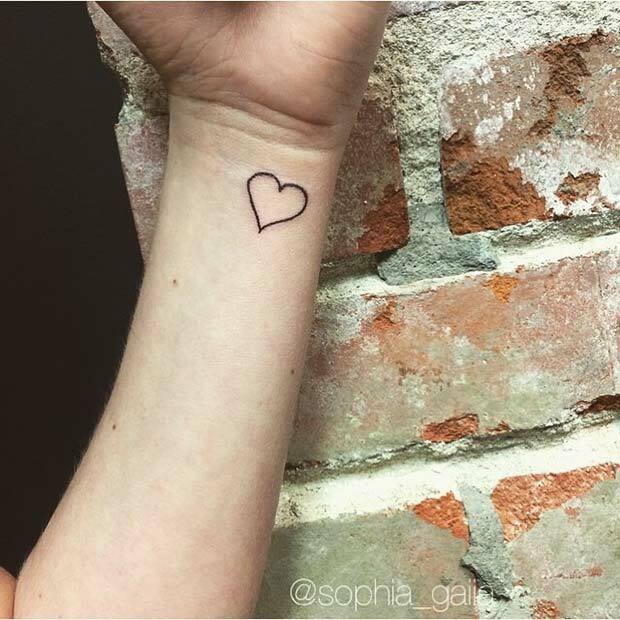 A heart tattoo is a feminine and will never go out of style. The Ohm symbol is spiritual design that can mean different things to different people. It is a very popular symbol with yogis as it is the mantra chanted at the beginning of and at the end of yoga sessions. 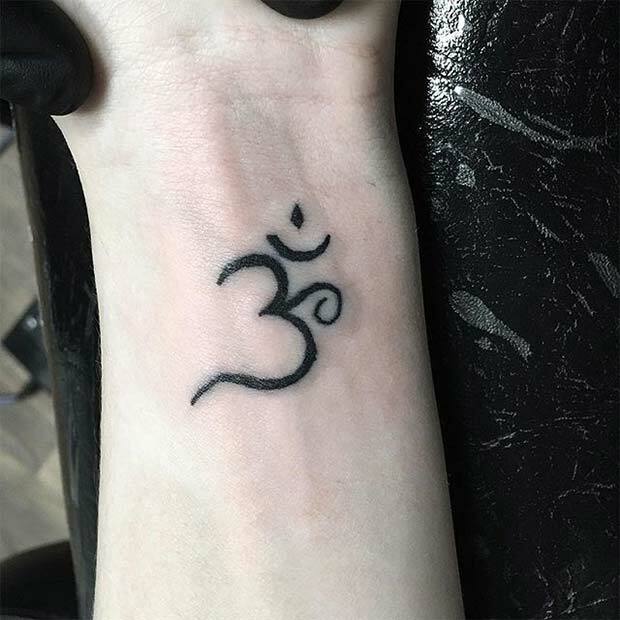 Whether you’re exploring your spiritual side or not this is a cool tattoo like looks beautiful on the wrist. 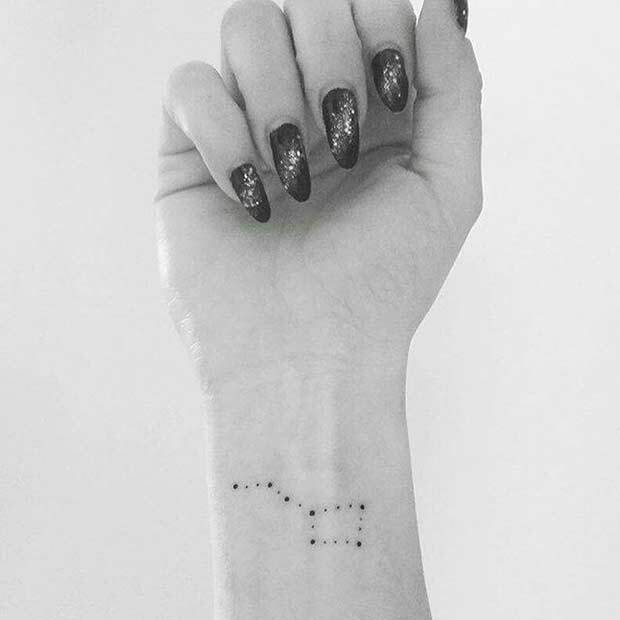 This star constellation design is perfect for the astronomy and astrology lovers out there. It’s a quirky design that could be created to your star sign or your favourite set of stars. We love this as it is personal, can be as bold or as subtle as you like and will intrigue anyone that sees it. A bracelet tattoo is more than just a tattoo, it can also act as a piece of jewelry! There are so many possibilities with the look you could create. From floral garlands to chunky cuffs or simple chain bracelets like the one featured here. This is a trendy tattoo that has a charm bracelet vibe to it. You could make it personal to you by adding initials or meaningful symbols just like this one. There are so many intricate designs that an artist can create on the wrist. Even though it is a small space you can make the most of it with a tattoo like this one. This floral mandala is bold and beautiful. It will be eye catching with any outfit. As the design goes up the wrist you can also easily cover it up allowing you to get the best of both worlds. The designs you choose don’t have to be limited to one wrist. Why not tattoo both? This design features birds on a branch and on the other, flying birds. Which creates a link between the two. Not only are they part of each other but also work separately. It’s kind of like a 2 ways to wear – together or not. There are endless creative possibilities for ink like this. 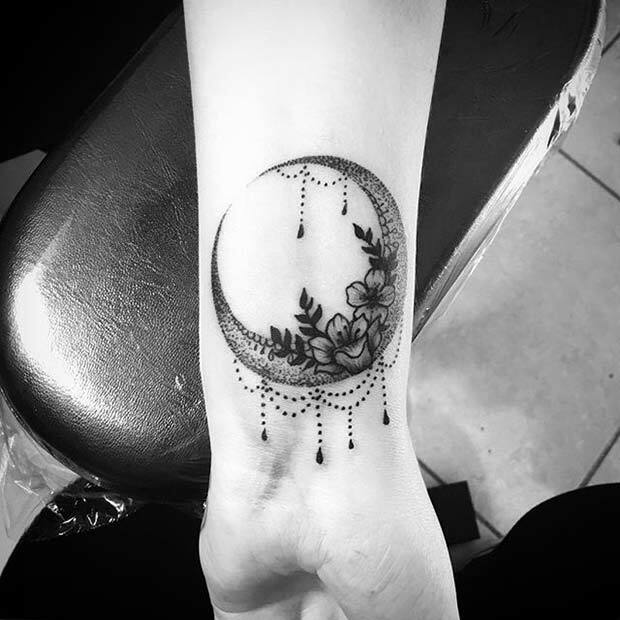 Our next pick is a quirky moon design. There are many variations of the moon on tattoos. This one features flowers and a glam chain pattern. These elements make it different and unique. You could have a tattoo like this but choose a different moon phase or different flowers. 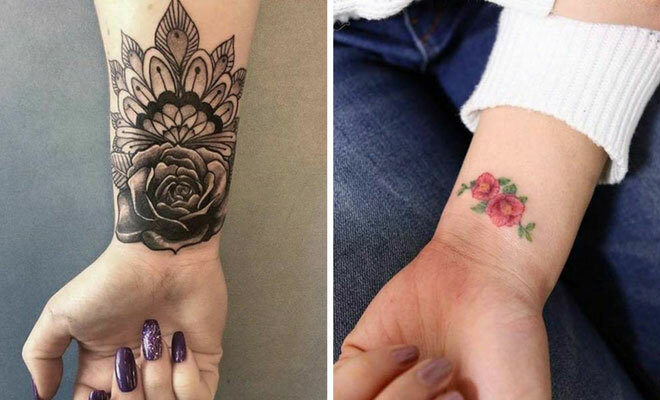 Whatever you choose, it will be a beautiful wrist piece that will give everyone tattoo envy! If you’re looking for something feminine, floral and stylish then this is the tattoo for you! This creation sits on the wrist beautifully, it’s bold but very elegant. You could choose any flower for a tattoo like this. Keep it as an outline like this one or add a flash of color. 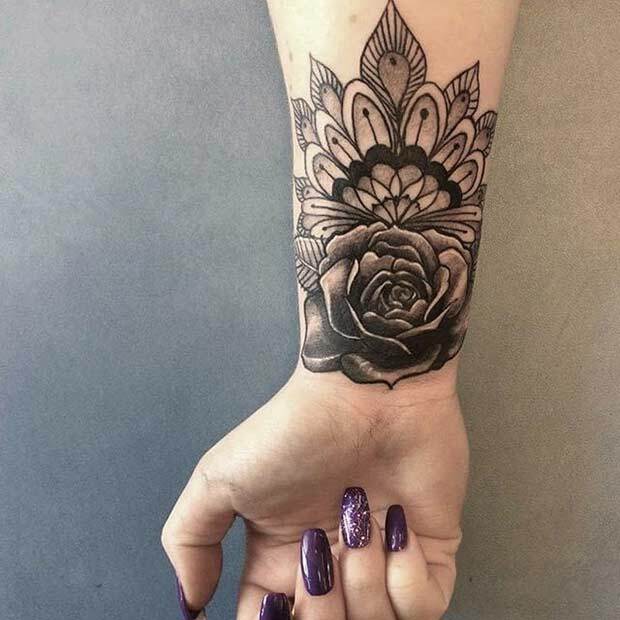 A tattoo like this is the way to do a floral bracelet. 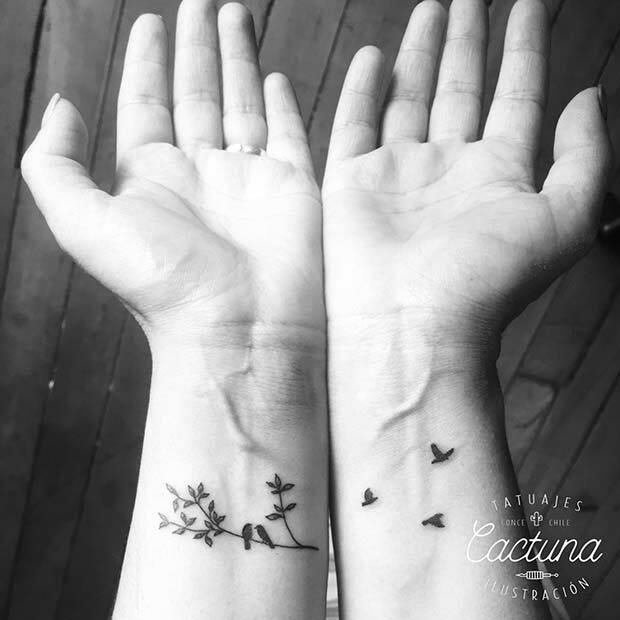 Here is another trendy example of how getting both wrists inked works together. 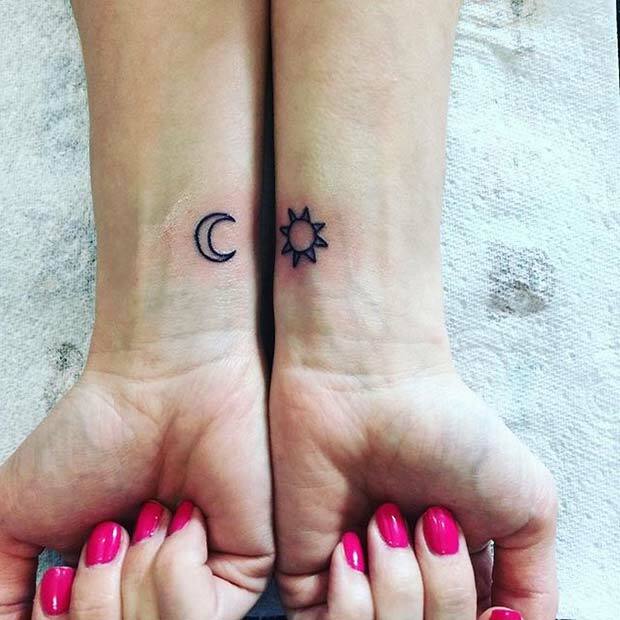 Here we have a cute little moon on one wrist and sun on the other. These are subtle tattoos separately but you can also show these off together to create a different look. Tattoos like these will never go out fashion and would be a nice idea for your first one. Wow… Very cool Wrist Tattoos.